JIT containers is one the premier reusable container and pallet sales and leasing services in the United States. They engaged Boom Creative to develop a logo and business card that presented them as contemporary and modern while also building on their 30-year history in the corrugated container business. When redesigning your logo and business card solution we consider all types of factors: the industry, your competition, your heritage and more. 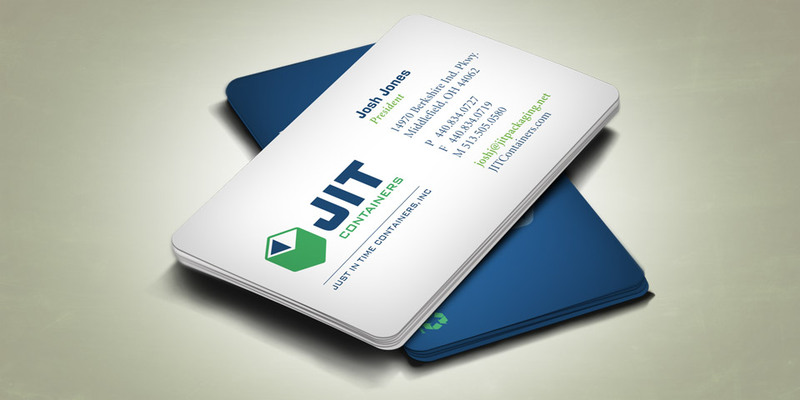 For JIT we used a crisp font with a tight pallet of blue and green to create a look which was unique in their space. Soft, rounded corners make the cards stand out.